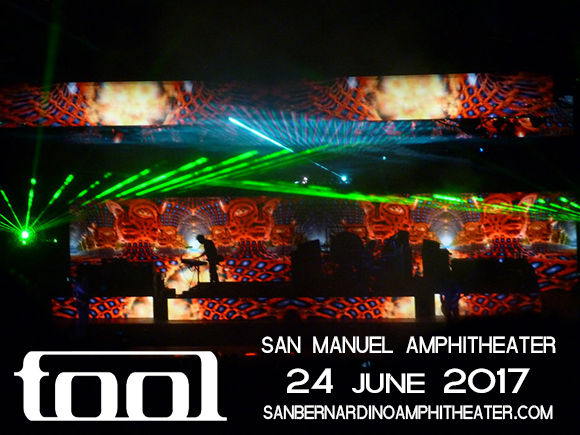 The legendary Progressive Metalers – Tool are coming to the live stage at San Manuel Amphitheater on Saturday 24th June 2017! This Summer you can catch Tool as they travel across North America, to bring you, their fans an unforgettable night of their best and most iconic music… tickets are on sale right NOW – grab yours while you still can! With rumors of a brand new studio album soon to come, this is guaranteed to blow your mind! The 1990's would not have been the same without alternative metal act, Tool! As they broke through with their debut in 1993, they straight away built a following for themselves and quickly, within just 2 years of their career in fact had reached platinum status! A record that does not happen often… with press taking note of their out of this world releases, the next few records would do just as well if not better. Now, fast forward 25 years and they have had three Grammy Awards and plenty of chart topping records! Join them as they celebrate all of this and more as they hit the road for Summer 2017!